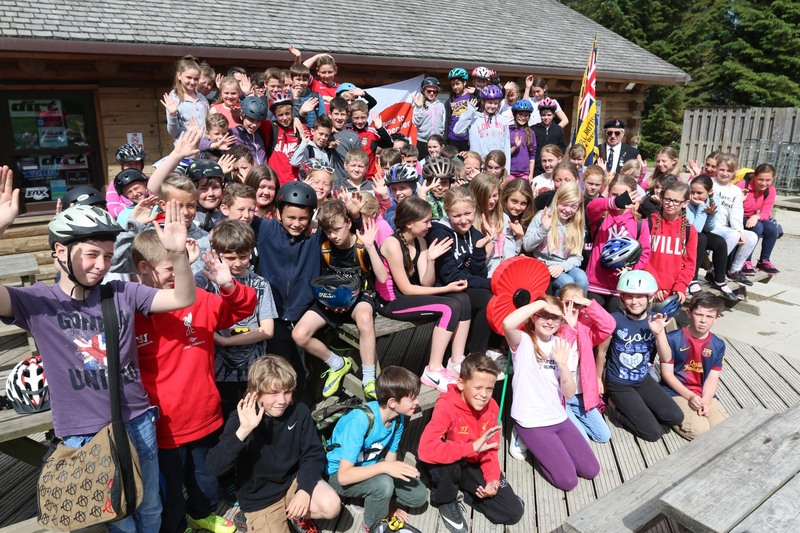 In June, pupils from five Flintshire Primary Schools took part in a sponsored mountain bike challenge at the One Planet Adventure at Coed Llandegla and raised the magnificent sum of £1,269.50p for the Royal British Legion. 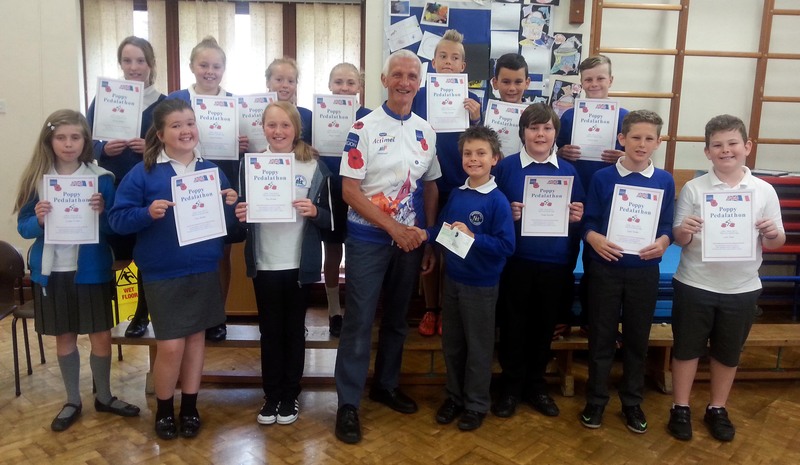 The 7th annual Poppy Pedalathon was once again organised by Eifion Williams as his main fund raising effort for the Legion’s Pedal to Paris which he will be taking part in in September. The children from Ysgol Sychdyn, Ysgol Mynydd Isa, Wood Memorial Saltney, Rhos Helyg Rhosesmor and Ysgol Northop Hall experienced a number of activities led by instructors from Welsh Cycling. Eifion (Founder and Manager of www.flintshirewarmemorials.com), thanked the children, their teachers and all the volunteer helpers who made the day a great success. 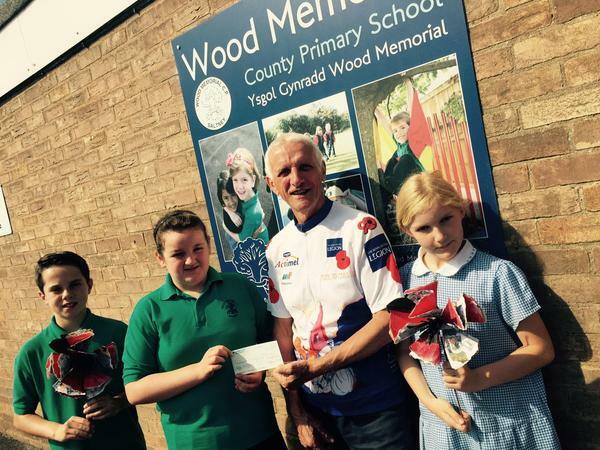 Ysgol Northop Hall presenting Eifion with the cheque after he’d given them their certificates. 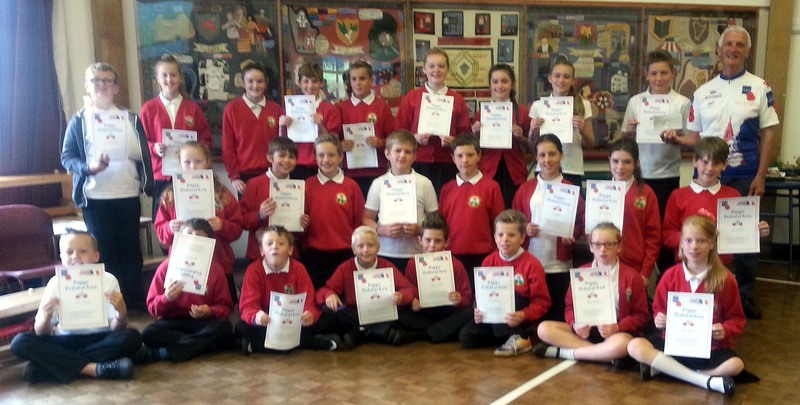 Ysgol Rhos Helyg Smiles, certificates and a cheque. 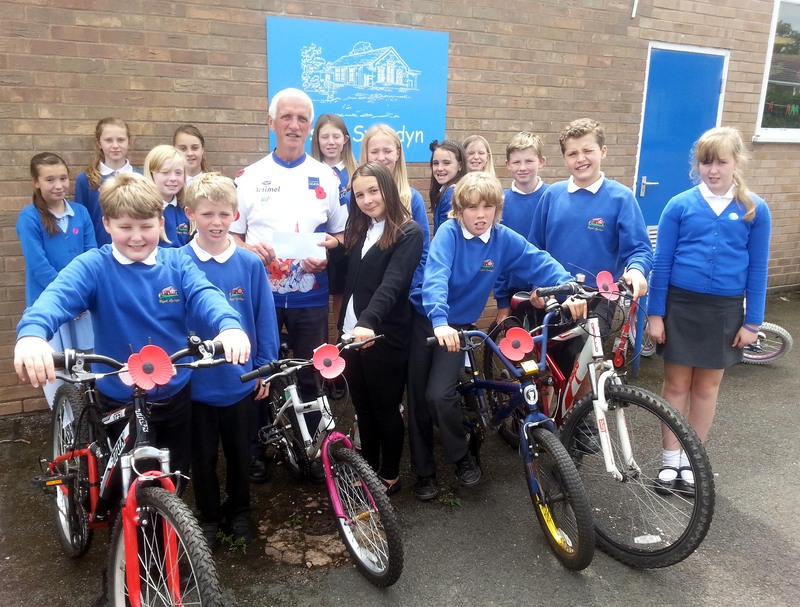 Ysgol Sychdyn liked their poppy bikes and handed over their cheque.